Pregnancy in South Africa is getting safer, but still not safe enough. Here's what the health department says they're doing about it. Last week, Amnesty International South Africa executive director Shenilla Mohamed penned a commentary on Bhekisisa's health pages in the Mail & Guardian. In the piece, Mohamed argued that not much had changed for pregnant women and new mothers since the organisation released a report on maternal deaths five years ago. The document details challenges faced by women in Mpumalanga and KwaZulu-Natal in accessing antenatal care. We agree. Far too many women are still dying, mostly because of what we call "the three Hs": HIV, haemorrhage (extensive blood loss - either before or after a caesarean section) and hypertension. But we're working to change this. We at the national health department believe readers should know what the country is doing to improve the quality of care provided to pregnant women. The good news is that since 2009 there has been a significant decrease in maternal mortality - especially those deaths that happen in health facilities. In 1997, South Africa became one of the first countries in the Global South to institute maternal death audits. As part of these, a team of independent experts comprised of obstetricians, doctors, midwives and anaesthetists investigates every death of every woman or new mother who dies in a health facility. Teams pour through patient files at clinics and hospitals to try to identify the causes of deaths and what, if anything, could have been done to prevent them. This data is reported to the national committee on confidential enquiries into maternal deaths, which releases regular reports. The health department also does detailed assessments of 19 hospitals to understand better what needs to be done at individual institutions to save women's lives. The committee's latest report shows that institutional maternal deaths have declined by 31% in the past eight years - from 1766 in 2009 to 1222 in 2017. In 2011, HIV was responsible for 35% of all maternal mortality. In 2017, this proportion fell to a quarter or 296 deaths. This impressive reduction is a consequence of testing pregnant women and starting those who test positive on antiretroviral treatment (ART) as soon as possible. In fact, the latest maternal death audit shows that improvements in the way we treat HIV have cut deaths from infections not related to pregnancy, such as HIV and TB, by almost half since 2011. But unacceptably large numbers of pregnant women - especially adolescent girls and young women - are still only finding out their HIV status once they fall pregnant. Ideally and with regular testing, they should know their status and start on ART before they conceive. ART not only saves women's lives but it also radically reduces the chances they will pass the virus on to their children. In 2008, almost one in 10 children born to women living with HIV tested positive for the virus six weeks after birth, a 2018 study in the South African Medical Journal showed. 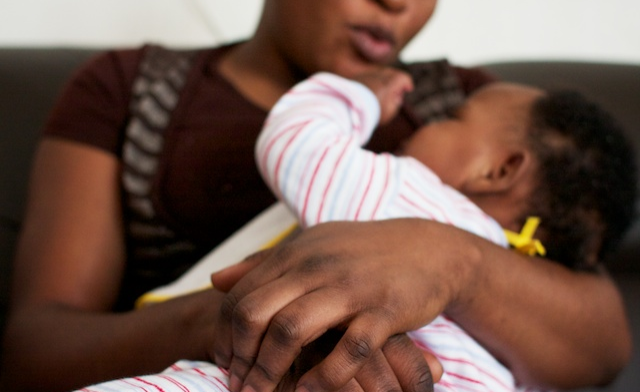 In 2018, less than 1% of infants at 10 weeks postpartum had contracted HIV from their mothers. This means that significantly fewer babies are born HIV positive and far fewer infants are dying from HIV. Deaths because of haemorrhage, the second most common cause of maternal mortality, have also dropped by 22% since 2011, the most recent audit shows. In meetings, the national committee on maternal deaths has attributed this decline to the health department's safe caesarean delivery programme, which works to ensure doctors and nurses have the skills they need to deliver babies safely. But, unfortunately, maternal death rates caused by the third "H" - hypertension - have not budged. To try to diagnose high blood pressure in pregnant women early, however, the national health department recently doubled the number of prescribed antenatal visits for expecting mothers to eight - in line with World Health Organisation standards. We hope by seeing women earlier and more often, nurses can diagnose and treat hypertension sooner. That's why we are also evaluating how well our nurses take blood pressure measurements and act on them. And we're making sure women and their partners know how important early care is with our MomConnect mobile phone application . Launched in 2014 by Health Minister Aaron Motsoaledi, the service allows women to register for weekly SMS tips for staying healthy during pregnancy. It also gives women a direct line to us to log complaints or compliments about the service they receive at health facilities. To date, more than 2.38-million pregnant women have registered on MomConnect. In almost five years, the application has received 1 834 complaints mainly about rude staff, long waiting times, shortages of medicines and untidy facilities. We try to resolve them as soon as we can. Like Mohamed, we also hear anecdotes about health workers berating young women for using contraception or for being sexually active. In response, we've asked that clinic and community health centre managers dedicate time and space for young people as part of "youth zones". But pregnant women also talk to us about the many ways in which healthcare workers and facilities have made their lives better, which is why compliments outnumber complaints on MomConnect almost 11 to one. We've tracked 20 730 compliments for our health workers and facilities in just five years. To reduce maternal mortality, we need to make sure women are getting quality care at every step of their healthcare journey. We have to keep ensuring that our healthcare workers have the skills they need to adhere to national guidelines, which are aimed at ensuring that every pregnancy and birth is a safe and respectful one. That's why we recently introduced NurseConnect and more than 25 000 nurses now get regular SMS messages that offer tips on, for instance, dealing with stress, as well as access to health resources. They can also share their stories with their peers about challenges and how they overcame them. And, just like MomConnect, NurseConnect gives nurses a direct line to the department to voice concerns. But we also have to continue to strengthen the health system to save lives by, for instance, making sure women with high-risk pregnancies get the care they need when they need it. That's why we're extending a range of interventions to cut maternal mortality rates in 17 districts and using the lessons we learn there to shape how these programmes are taken up nationally. If South Africa is to attain the United Nations' latest round of international targets, the Sustainable Development Goals, we'll need to slash maternal death rates by almost 30% between now and 2030. This will require everyone - decision-makers, healthcare workers, managers, patients and their families - to play their part in ensuring healthy pregnancies and safe deliveries. In short, we agree with Shenilla Mohamed when she says that "quality, equitable healthcare is not only important for communities, it also ensures that women, including those living with HIV, have access to the medical attention and knowledge they need". And we're striving to do just that. Yogan Pillay is the national health department's deputy director general for communicable and noncommunicable diseases. Follow him on @ygpillay.